When I File Chapter 7 Bankruptcy, Can I Keep My Cash? Knowing what you’re allowed to keep and what you can expect to be liquidated in a Chapter 7 bankruptcy is important. You might have a savings account that you’ve gotten ear-marked for your child’s college tuition or a retirement account that you’re hoping to keep access to in bankruptcy. Whatever the purpose of the cash you have on hand, there’s no doubt that you’ll want to know whether or not those savings will be eliminated in bankruptcy due to your liquidation. Under Chapter 7, the bankruptcy trustee is eligible to sell only non-exempt assets to pay back your creditors from the proceeds. The goal is to maximize the repayment to any unsecured creditors. If there is non-exempt cash sitting in accounts, that money becomes part of your bankruptcy estate, along with the remainder of your belongings. Exempt cash requires consulting with an experienced attorney because cash typically falls under what’s known as a wildcard exemption. There is no wildcard exemption in New Jersey but bankruptcy filers can exercise federal exemption. This typically covers $1,225 of any of your property in addition to $11, 500 of the unused property of the homestead exemption. You’ll want to schedule a consultation directly with an experienced bankruptcy lawyer to figure out which set of exemptions applies most particularly to you. If you have used all of your homestead exemption, for example, you’ll need to protect other assets with that wildcard exemption, and you may still be eligible to keep your cash. But sitting down before initiating your bankruptcy petition can tell you more about which exemption is best for you and the most appropriate way to proceed. 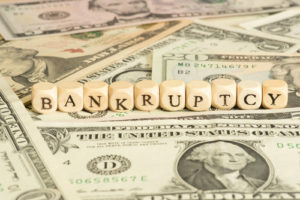 Do you need more information about filing for bankruptcy in PA or NJ? Contact the Law Office of Joel R. Spivack at 856-861-6203 or via our online contact form to learn more.